Spin waves (and their quanta magnons) can effectively carry and process information in magnetic nanostructures. By analogy to photonics, this research field is labelled magnonics. It comprises the study of excitation, detection, and manipulation of magnons. 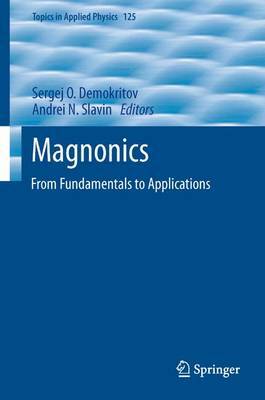 From the practical point of view, the most attractive feature of magnonic devices is the controllability of their functioning by an external magnetic field. This book has been designed for students and researchers working in magnetism. Here the readers will find review articles written by leading experts working on realization of magnonic devices.